'Use local materials' is the good garden-designer's catch phrase. My garden is created on what was, two hundred years ago, the flood plain of a wide braided river. In some places the soil is very stony, and I often have to dig out a stone or two before planting. 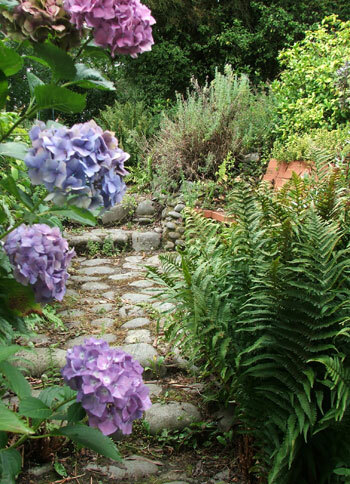 Previous owners had made a stone retaining wall at the back of the house, and laid flatter river stones in concrete for house paths and the surfaces of garden steps. 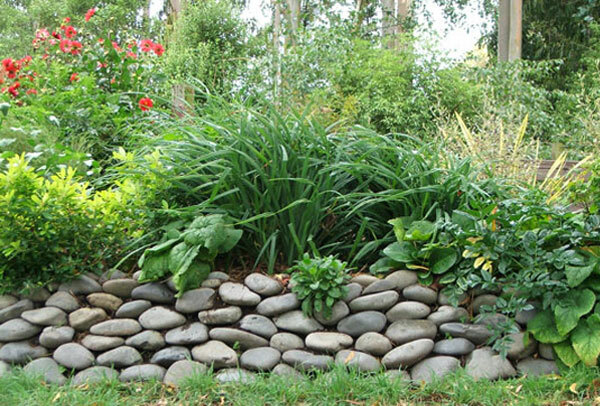 I first thought of using river stones to encircle newly planted shrubs and trees - as a rabbit deterrent. The 'stoning' of the edge of the first Moosey Dog-Path was THE defining moment. My paths weaved and ducked through new gardens, following the route taken by my dog. 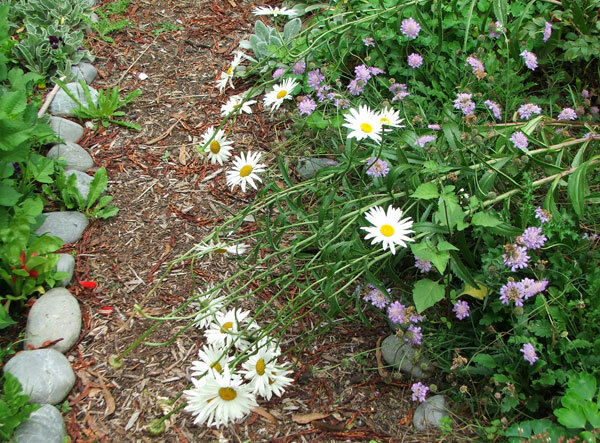 I'm a pathaholic - and the tiny, orderly part of my random garden-designing brain required path edges. The smooth grey river stones were perfect! On-property stones soon ran out, so I started taking the dog down to the nearby river to do some cruising (him) and collecting (me). The number of garden paths needing edges kept increasing. 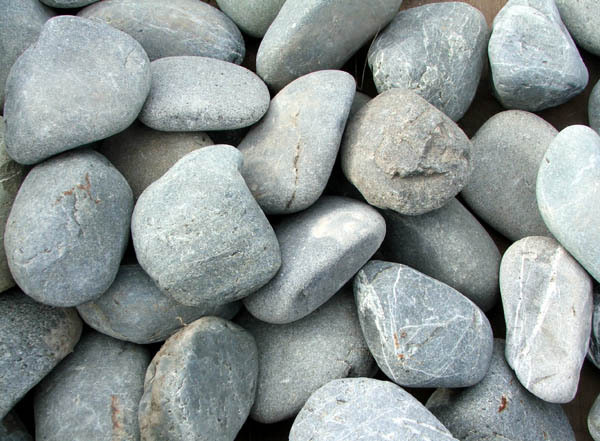 And I always seemed to be running out - I always needed more stones for my garden work. Then I built a more serious retaining wall, with in-fill behind - my most ambitions stone project yet. This created a whole new garden, which I call The Shrubbery. Just occasionally a large cat will chase another large cat up the wall and dislodge some stones. Oops. It's not exactly dry-stone walling, using secret techniques handed down by forefathers and foremothers. I use the PPP technique - 'Peer At, Pick Up, and Place'. Some gardeners just don't know when to stop. After watching a TV programme where teams of skilled masons spent years restoring a small stone 'castle' in England, I had a brilliant idea. The word 'over-reaching' springs to mind. 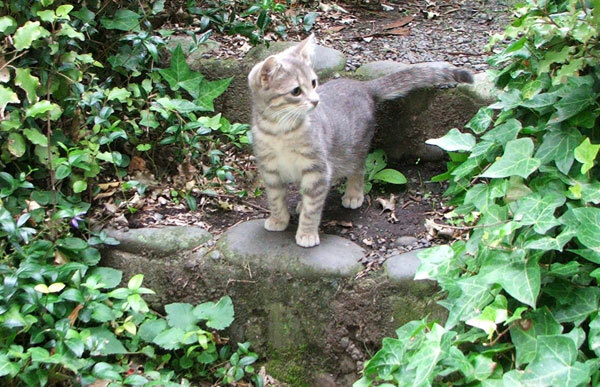 I want to build a stone tower at the back of my pond, with gaps for windows and an open door entrance, and a little pointy roof. A bit mediaeval, the same size as a generous hexagonal gazebo. I haven't started yet. But hey! Big things start with small ideas. Watch this space.